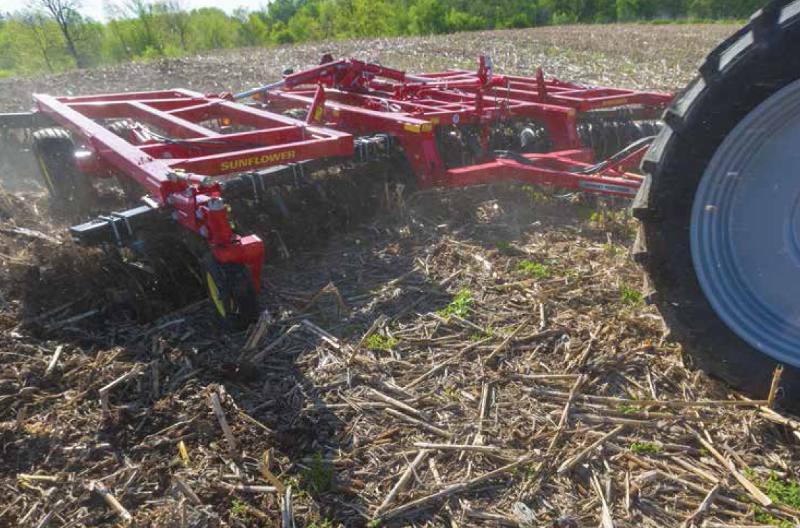 The model 1444 disc by Sunflower features four section flexibility for unmatched ground hugging capabilities. The unique linkage system allows each half of the unit to function independently, not only from side to side, but also from front to rear. Now newly redesigned with grease-free transports and wing hinges, the 1444 is designed to save you time and increase your productivity. Consider the flexibility of the 1444 from Sunflower, it will provide you with unmatched performance in rolling terrain or terraced ground and provide the extra protection needed in rocky soils.